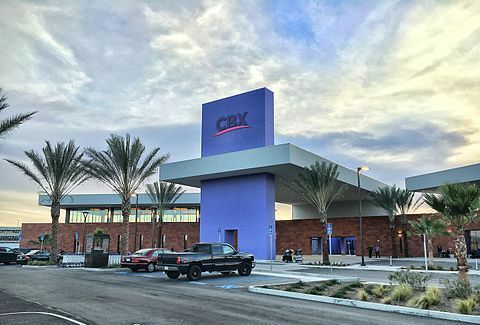 CBX (Cross Border Xpress) is a private pedestrian border crossing that takes you from the Otay Mesa area of San Diego directly into the Tijuana airport. While international travelers have used the Tijuana airport to save big on airfare in the past, CBX makes getting to the Tijuana airport incredibly easy. By flying between Guatemala and Tijuana instead of San Diego, we saved between 50% and 70% on our airfare. CBX opened in December 2015 and was officially inaugurated in April, 2016. After using CBX three times, I highly recommend it. For anyone flying to or from Southern California–and especially San Diego–CBX is worth considering. 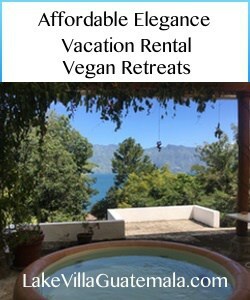 At this writing, you pay $16 one way or $30 round trip to walk across the border. All you need are your boarding pass, your passport, and your CBX ticket (though if you’re not a U.S. or Mexican citizen, you’ll need to verify your visa requirements). You can buy the CBX ticket online or in the lobby. Some airlines let you purchase the CBX ticket as an add-on to your airline ticket. CBX is like an airport terminal without the planes, complete with a duty free shop and luggage carts. Wheelchairs are available for those who can’t easily make the less-than-five-minute walk. After you cross into the Tijuana airport, you have to move luggage from the CBX cart to the airport cart, but they have people to help you. If you’re using a CBX wheelchair, you’ll have to change to the airport’s chair at the airport entrance. We arranged for a wheelchair with the airline in advance. The first time I went through CBX, I was with my dad and I pushed the luggage cart while a CBX employee pushed dad in a wheelchair. They couldn’t have been nicer and wouldn’t even accept a tip for all the chair pushing. Coming north, entry into the U.S. was the easiest I’ve ever experienced. Ever. This from someone who has used the Global Entry program for years. The Global Entry kiosks aren’t working at CBX yet, but they should be up and running soon. Be aware that going south, anyone who is not a Mexican citizen has to fill out a Mexican immigration card (called an FMM or Forma Migratoria Múltible), which you keep with your passport until you leave the country. In our case, we filled out the form at the Mexican end of the CBX crossing, and they took it from us when we boarded our flight to Guatemala in Mexico City. The Mexican government now allows you to complete the form online and print it to bring with you–a great way to save time at the crossing. The CBX folks have made using the border crossing amazingly easy. There are signs that clearly mark the way, and they give 15 minutes to drop off or pick up passengers without paying for parking. If you want to leave your car, parking is $17 a day. There are onsite car rentals, shuttles from downtown San Diego, busses and, of course, taxis and Uber. Travel time from downtown San Diego to CBX is about 40 minutes. The CBX website tells you everything you need to know. Leave plenty of time before your flight: you’re still crossing an international border and it can take a bit of extra time. That said, everyone I’ve dealt with at both CBX and the Tijuana airport has been friendly and helpful, and I will continue to use CBX instead of flying into San Diego. A Few Choice Words for the Medfly?